We are currently experiencing a shift in the way energy is generated, distributed and used in homes and organizations. This energy transformation is technology driven as a result of dramatic improvement in solar PV and wind technologies. It is also being driven by the increasing concerns about the global climate change and high energy prices experienced in many parts of the world. Due to this energy transformation, consumer driven solar PV will become a significant part of the power sector by the year 2040 according to Bloomberg New Energy Finance, (New Energy Outlook, 2017). The report projects that rooftop PV will account for as much as 24% of electricity generation in Australia, 20% in Brazil, 15% in Germany, 12% in Japan and 5% in the U.S. and India. It is projected that, distributed solar or commonly referred to as rooftop solar will reach socket parity (retail price parity) across many countries in the developed world. With this technological change, switching to solar PV; homeowners and organizations will need tools and information to be guided in their decision making process especially in the process of how to go solar to allow them to save money (achieve significant savings through solar) and reduce their carbon footprint at the same time. These will be the people or organizations interested in determining what would be their solar costs and corresponding savings if they decide to go solar. These are people that are looking for online solar panel calculators and online solar marketplaces to help them compare solar prices and solar panels that will perform well when installed. Such people would want to know whether are solar panels worth it and be able to decide whether they need to install them on their rooftop or make such an investment. To go solar is not an easy decision like it may seem to many people because there are so many factors that you want to consider before embarking into a solar project and you may need guidance to understand money savings. It is a rule of thumb: Energy Efficiency first and then solar i.e. you want to know the following and then go solar i.e. Identify areas of energy waste. Online solar tools such as the EnergySage, Google Project Sunroof, Wattplan, Pick My Solar etc can help online users decide about their going solar decision. Such online tools will help users to make sure that their adoption of the PV system will actually save them money while sustaining the environment for future generations. The mission of switchingtosolarpv.com is to enable online users interested to go solar or going green, find tools, reviews or relevant information to help them make informed decisions about their sustainability decisions. Online tools shared here could be online solar panel calculators, carbon footprint calculators, solar PV technology reviews, or just well researched information that help online users determine their best choices whether is the best solar panels, solar panels review or going green principles depending on their needs and wants. Why go solar with online solar tools? Switchingtosolarpv.com is a website resource for helping people and organizations determine whether solar energy is right for them. It provides information, online tools, calculators and sustainability tools to help online users decide whether going solar will be beneficial. Also this blog using solar energy as an example helps individuals and businesess in making informed decisions when it comes to going green or moving towards the path of sustainability. This include but not limited to greening the workplace, adopting a green office, implementing sustainability, sustainable business and adoption of corporate social responsibility strategies using solar energy as an example. Whether you are a business or individual, it is worth it to conduct a preliminary research to determine whether solar is right for you because going solar is beneficial for communities or businesses that have good solar potential based on geographical location and site specific parameters such as roof orientation, shading and availability of roofing space to install solar panels. 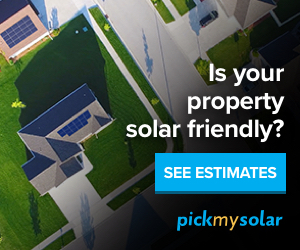 To help our audience to go solar, switchingtosolarpv.com has partnered with online solar marketplaces such as the EnergySage to help provide online users with online tools for comparing solar prices and identifying the best solar installers with the objective of informing the user about going solar. The online user is able to base their judgment of going solar from the savings and costs that will result from the analysis using these online tools. In addition, these tools are simplified to aid the user make a decision to go solar by only requiring them to type their address on the tool resulting in retrieving specific solar irradition data, financing, PV system performance and long-term savings. LiDAR is the most accurate form of topographical data used to create three-dimensional digital elevation models (DEMs) that analyze the impacts of shading obstructions, identify roof tilt, and estimate the amount of roof area that can used for a particular solar installation and obtained with greatest degree of accuracy. What solar panels would be suitable for my solar power system? How much sunlight is hitting my rooftop and is it good to power my home or business? Where to obtain qualified solar installers or solar developers in the US? What are the best solar financing solutions? What are some of the best solar panels in the market? What are some of the best solar installers in the market? Where to obtain the best solar quotes?